Starting with the Saints of San Francisco and Golden Gate Park, we expand onward to visit giant redwoods and rugged beaches. The heart of this journey is in the Gold Country, of California’s wild Sierra Mountains. Here we will experience Native American culture at the Indigenous People’s Day and visit a local community with talking circles, sweat lodges and native crafts. Traveling back to the coastal mountains we spend a few nights tucked into the rustic cabins of Big Basin, nestled under a canopy of the magnificent redwoods. We’ll visit Santa Cruz and play at the beach. California has so much to offer. Join us for this unique way of experiencing the West. Arrive at the scenic Pacific Ocean north of San Francisco where we will stay 3 nights. Nature walks, day trips and exploration of Golden Gate Park, Japanese Tea Garden, China Town, Grace Cathedral Labyrinth and more. Travel to the Heart of the Gold Country, Nevada City, and stay 6 nights. Experience Indigenous Peoples Days with indigeneous people from around the globe. Visit the largest hard rock gold mine in California. Spend a day learning earth skills and pray in sweat lodge ceremony. Visit an ancient Indian Village for storytelling circle. 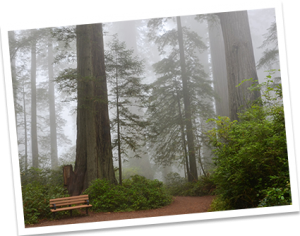 Travel to Big Basin State Park to see the giant redwoods. Immersed in nature, walk among the tallest trees in the world. Participate in a Red Cedar Circle with native storyteller. Walk the cliffs of Santa Cruz to Natural Bridges. Visit tide pools at a marine preserve. 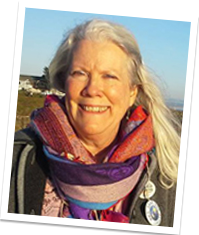 Return home with a deeper understanding of Wild and Wonderful California, and tools to heal humanity and the earth. 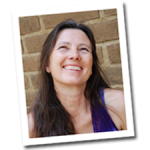 Donna brings a wealth of cultural, historical and spiritual experiences to her programs and pilgrimages. Her personal mission is to teach principles of wholeness and freedom, in service to life, expressing love to all. Fluent in German, she is available as a tour guide for individuals, families and groups as well as Interfaith rituals and services.